And here we are with the final of the teaser chapters for Amongst the Stars! The book launches on May 25, in paperback first and then with the ebook to come a few weeks later. Here, the plot starts to thicken…. I wrote this story, a rare foray into fan-fiction, a few years ago and I’ve been reposting it ever since, first on Byzantium’s Shores and now here — and for this year, over on Wattpad! 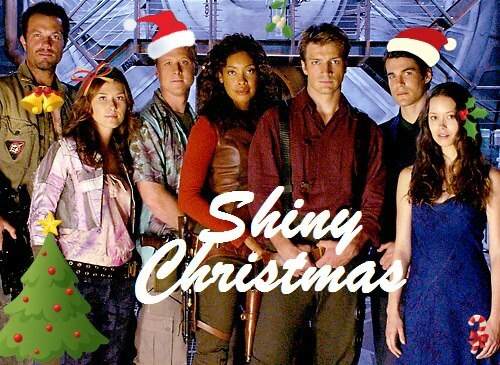 This is what I imagine a Very Special Christmas Episode of Firefly would be like. For purposes of timeline, we’re before the Serenity movie. Writing this was a LOT of fun. That’s one of the main reasons fanfic exists, right? Enjoy! [tap tap tap] Is this thing still on? So, almost two months without an update? Yeesh, that’s terrible. November was…not good, folks. Not good at all. At least it was terrible as far as my writing goes; on the personal front, things are fine. But November was easily the worst writing month I’ve had in all of 2016 and the worst I’ve had in several years. November was NaNoWriMo, so I should have produced at least 50,000 words. In fact, I produce only 21,262. Why is this? Well, I cannot lie, but I also don’t want to be political on this site, so I’ll simply say that the results of the American Presidential election threw me for a serious loop that did major damage to my mood for a big chunk of the month. It took almost ten days afterwards for that hangover to wear off and for my creative brain to lurch back into motion, by which time NaNoWriMo was a lost cause. Alas. If you’re wondering to what that name refers in terms of the book, well…hopefully the book will see the light of day sometime in 2018. It’s book one of an open-ended series of space adventure books. The main ship is a light freighter named Orion’s Huntress. The crew is initially comprised of four women with varying degrees of trust issues. The Captain and the astrogator are lovers. The ship’s doctor actually owns the ship, which makes her relationship with the Captain rather tense. While I don’t have a title yet, my current idea is for every book in the series to have the word Huntress in it, alluding to the ship. This is an idea I’ve been knocking around for a while. This is nothing new: I like to let my ideas knock around for a good long while! So here I go with this one. I’m aiming for a series of shorter books, around 100,000 words each, with each book being relatively self-contained. 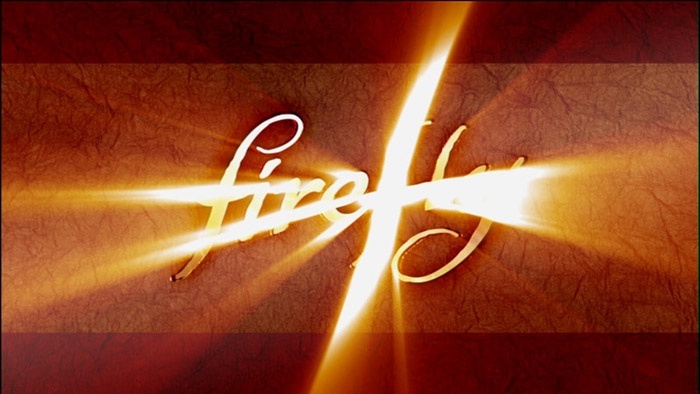 This is more Firefly or Miles Vorkosigan than, say, Star Wars or The Song of Forgotten Stars. So that’s what’s going on right now. Stay tuned for more posts, I hope! I have 2017 to plan, after all. I’m behind on editing and publishing, so I’ll have more to say about those things in days to come. Stay tuned! Author ksedingerPosted on December 19, 2016 Categories Uncategorized, WritingLeave a comment on [tap tap tap] Is this thing still on? Hey everybody! For one week only, you can get both FORGOTTEN STARS e-books on Kindle for just $.99 each! Two fantastic* space opera novels for the grand total of $1.98! Spaceships! Princesses! Ancient galactic empires! Lost planets! Mysteries! Action! Giant six-legged cats! Enigmatic space pilots! All this and MORE!!! *This opinion is completely biased. 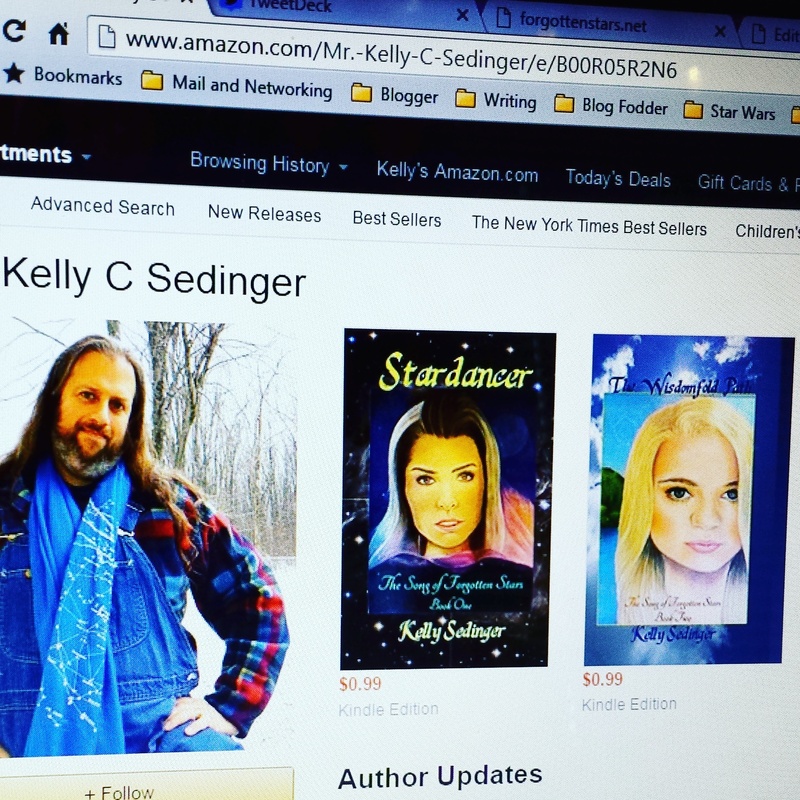 Author ksedingerPosted on May 6, 2016 May 6, 2016 Categories Stardancer, The Song of Forgotten Stars, The Wisdomfold Path, UncategorizedLeave a comment on KINDLE SALE!! !